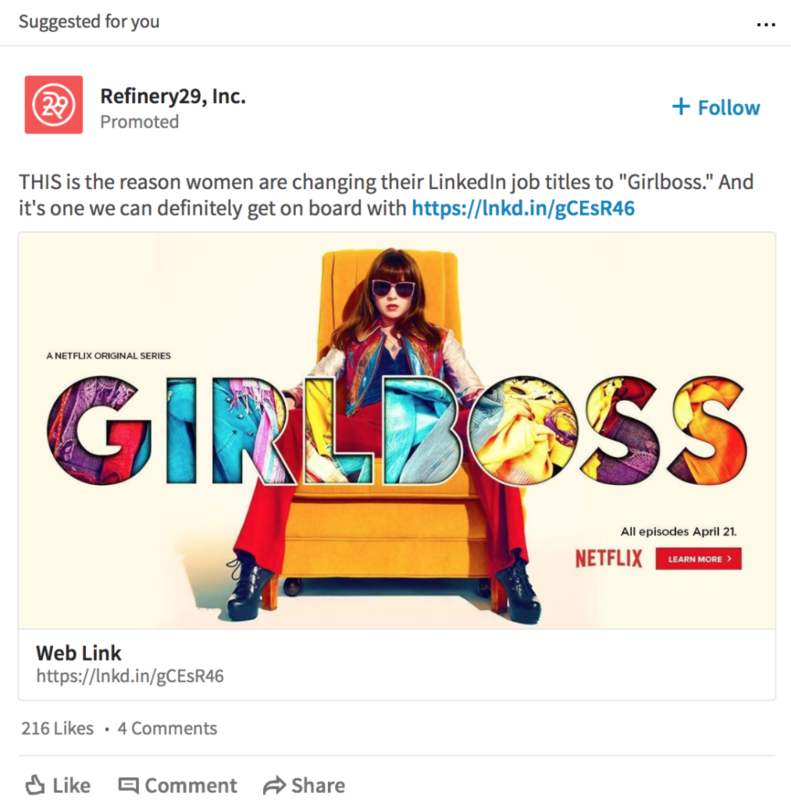 Have you ever considered running an ad campaign on LinkedIn? If the answer is “no,” you’re not alone. In fact, tons of people haven’t even given LinkedIn advertising a second glance. But the truth is that for many businesses, LinkedIn ads can be surprisingly effective. 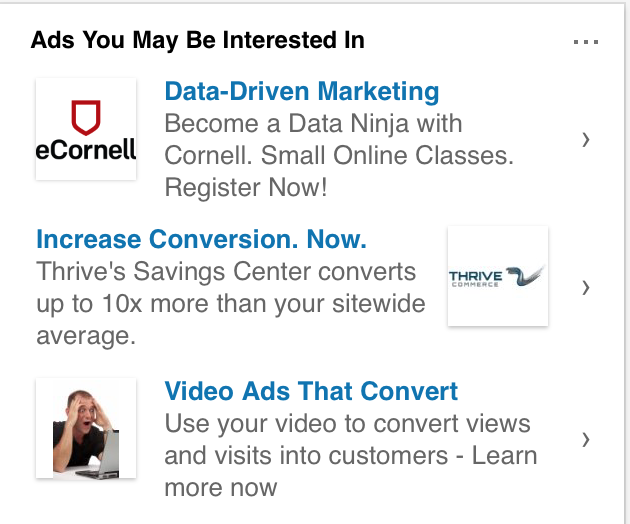 LinkedIn offers several types of ads, including sponsored content, text ads, and sponsored InMail. While it’s not the best choice for every single business, LinkedIn is a powerful tool for many B2B companies. 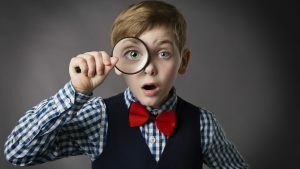 It’s a website people use to look for jobs, to connect with other people in their industry, and to talk about the latest industry news. If you’re selling something aimed at businesses, rather than consumers, it’s a promising place to spread your message. Here’s a quick run-down from AdEspresso about what kinds of advertisements LinkedIn offers, and which types you should use for different purposes. Which Ad Type Should I Use? Each ad type as different advantages and best use cases. Sponsored content is ideal if you want to get plenty of eyes on your content, like blog posts or business announcements, driving engagement. It’s also helpful if you want to get more followers for your on-site Company Page. The format of the actual ad lets you share valuable information that can help you with lead generation and nurturing, in addition to brand awareness. Text ads are most effective if you want to show your ad to as many people as possible. They can be helpful at driving conversions and are most effective when you use highly targeted campaigns. A great example would be an MS program advertising to potential students. You can also run text ads even if you don’t have a Company Page. Sponsored Inmail feels highly personalized because you’re delivering content right to a users’ inbox; their interest is automatically piqued, and they get a notification of a message. You can add a CTA button to the messages, allowing you to drive conversions effectively, whether you’re trying to get downloads of your ebook or registrations for your next event. 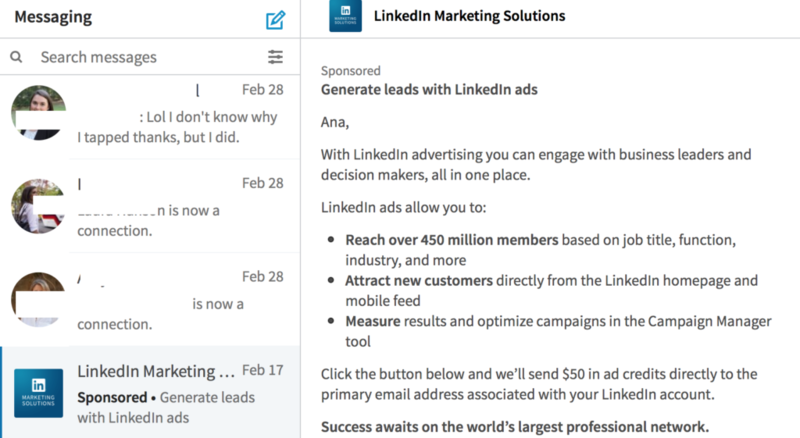 The other great perk of Sponsored Inmail ads is that they’re only delivered to users who are actually active on LinkedIn. You can learn more about LinkedIn ads over at AdEspresso, including a step-by-step guide that walks you through the process of creating your first LinkedIn advertisement.